No doubt we’ll be discussing our digital efforts for the Nathan Deal campaign at great length over the next couple weeks. 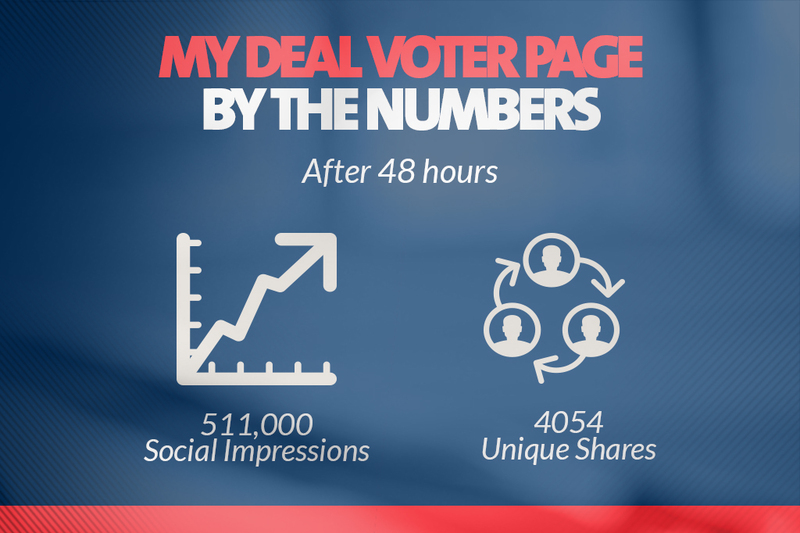 For now, we wanted to give just a small snapshot of our GOTV efforts on behalf of Georgia’s Governor: the My Voter Page, a grassroots tool that allows supporters to share their vote choice [Nathan Deal] on their social networks. Not only does the My Voter Page give fans a custom website that allows them to display why they support the governor’s re-election, the tool integrates Facebook’s API, making it instantly customizable and shareable. 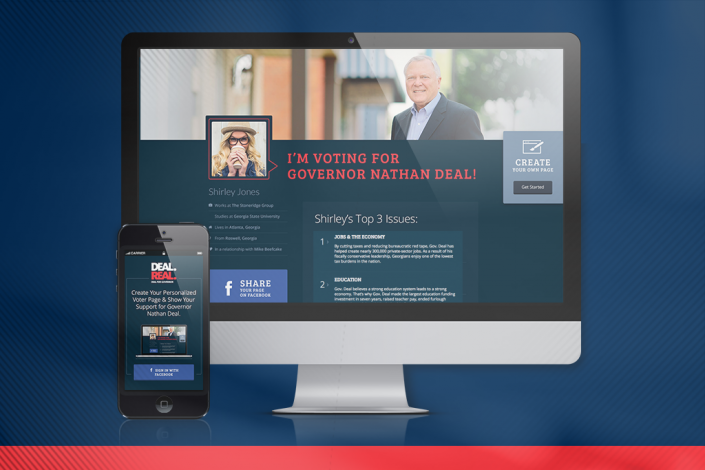 In less than 48 hours after launching the application, more than 500,000 voters in Georgia had seen the message “I’m voting for Nathan Deal. Find out Why in their Facebook news feeds. We found that voters are proud to have a page they can share with their friends and family that can be used to persuade them with a portfolio of why they too should make it to the polls on Election Day. This app will surely be enhanced for future SRG clients after the election. Unfortunately, we only had two days to complete this project. (As campaign budget dollars were freed from priority items, this tool became an option). We hope to become an approved Facebook app – a process that takes some time, but will allow us to customize this tool for other campaigns and causes. In addition we hope to add 3rd party voter data integration. For now, we hope you’ll check out what has been a very simple, yet effective tool in its initial beta run.